Ever seen a rhino in front of Ralph Lauren? How about a rhino in front of the Tube? 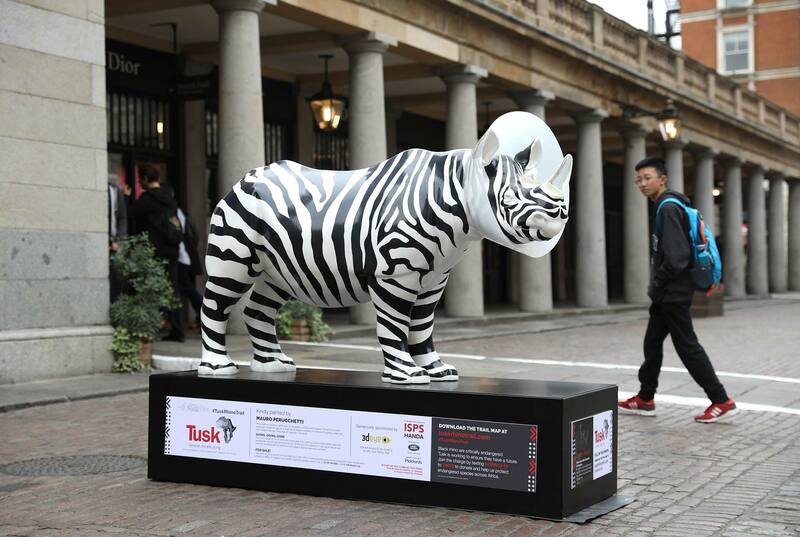 This is what it looks like when rhinos charge onto the streets of London. 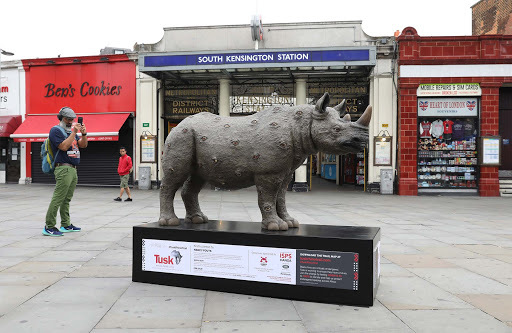 Many folks might not know this but this is not the first time that Rhinos have roamed London. According to Tusk, "In the Paleolithic period, around 60,000 years ago, when England was a cold, dry desert, the woolly rhinoceros was common." 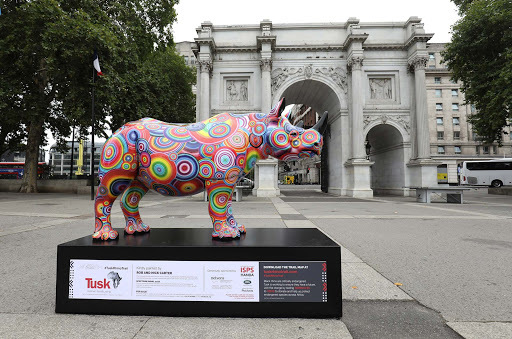 If you love the rhinos as much as we do (and have much, much deeper pockets than we do,) you can head to famed auction house Christies in London on October 9 and bid on the sculptures -- all benefits going to help rhinos in the wild, of course. And isn't a life size rainbow rhino exactly what your living room is missing? In all seriousness, Tusk is one hero of an organization and they've been helping animals in Africa for over 30 years. This isn't a casual problem, either. Rhinos and other wildlife are in critical danger. Illegal wildlife trade is the fourth largest criminal industry in the world, coming in right behind drugs, arms and human trafficking. 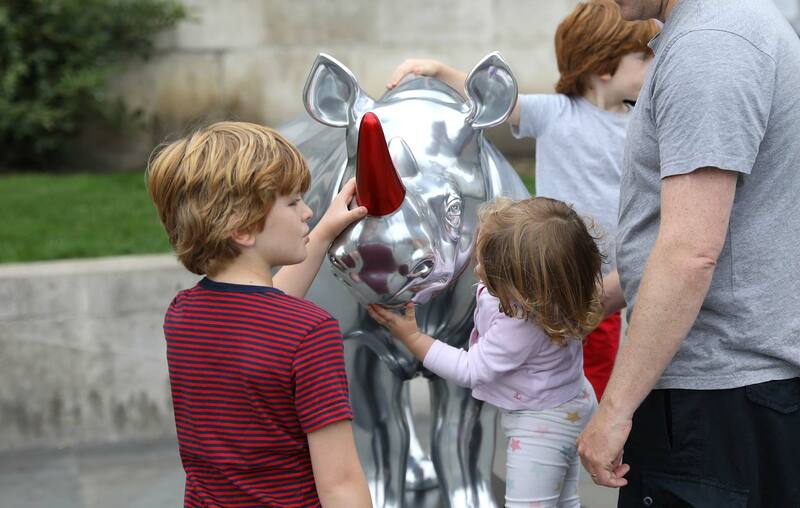 The art installation is supported by organizations like ISPS Handa, Land Rover, Pickfords and ForeverMark and if you're in London, you can walk the trail and meet each of these gorgeous beasts yourself. Check out the map here.